Scout Ranger: Ranger equipped with a laser designator, and other various sensors to detect enemy positions and relay them to adjacent units. 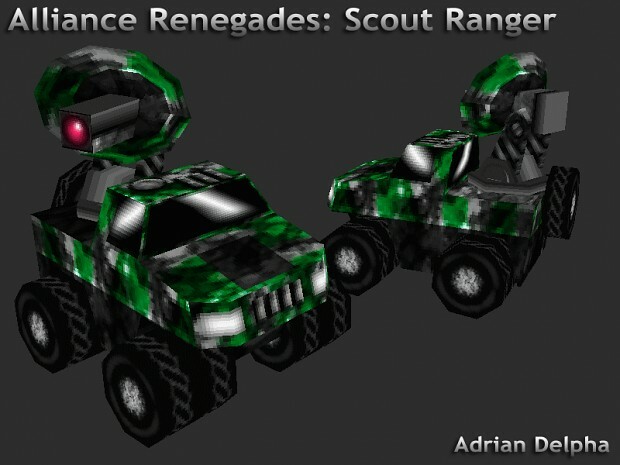 Scout Rangers have much higher vision than other units and increase the attack range of adjacent vehicles, including aircraft, by 5. It is unarmed so it cannot defend itself. You are limited to only 2 of these units, and their effect does not stack. 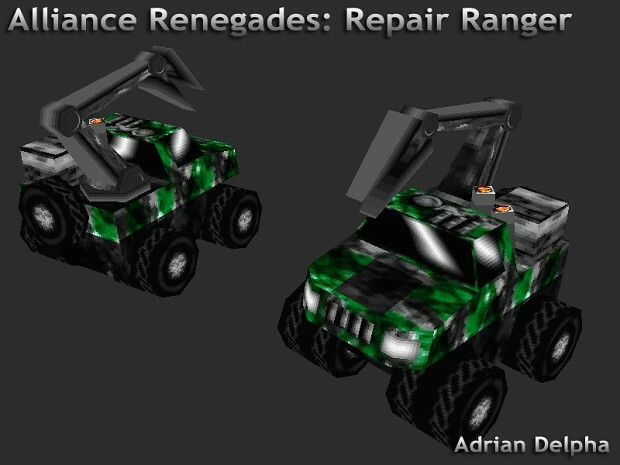 Repair Ranger: Straight forward, It repairs adjacent units, even in combat, though not as quickly as a factory. While there is no limit to how many you can produce, the repair effect does not stack. It is unarmed so it cannot defend itself. This adds some interesting strategies to the Renegades Faction.